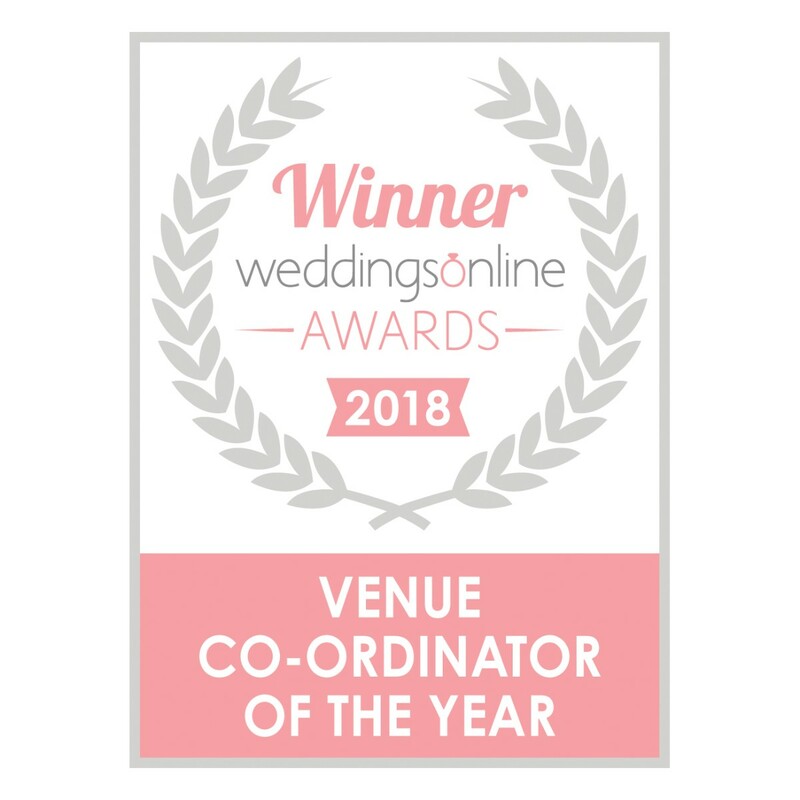 WINNER of Venue Coordinator of the Year 2018 & Waterside Venue of the Year 2017! At The Landmark Hotel we are all about YOU the couple getting married, we listen to what you really want for your wedding day and we help you to have YOUR wedding YOUR way. We pride ourselves on doing things differently. Our focus is on delivering innovation, creativity, excellence, value for money and nothing less than total satisfaction for our couples and their guests. It is your special day after all and you deserve the best. Our attention to detail has been perfected! 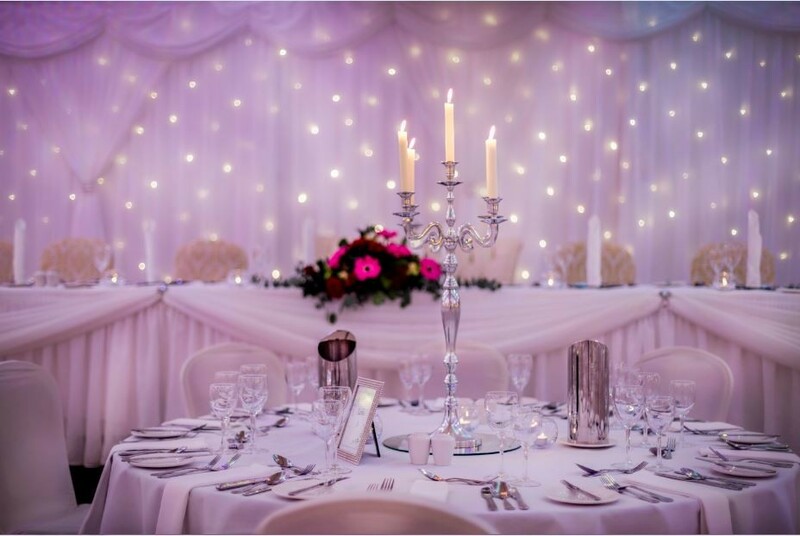 The Landmark Hotel is a multi-award winning wedding venue and the team is led by Imelda Scally – so trust us you are in good hands! 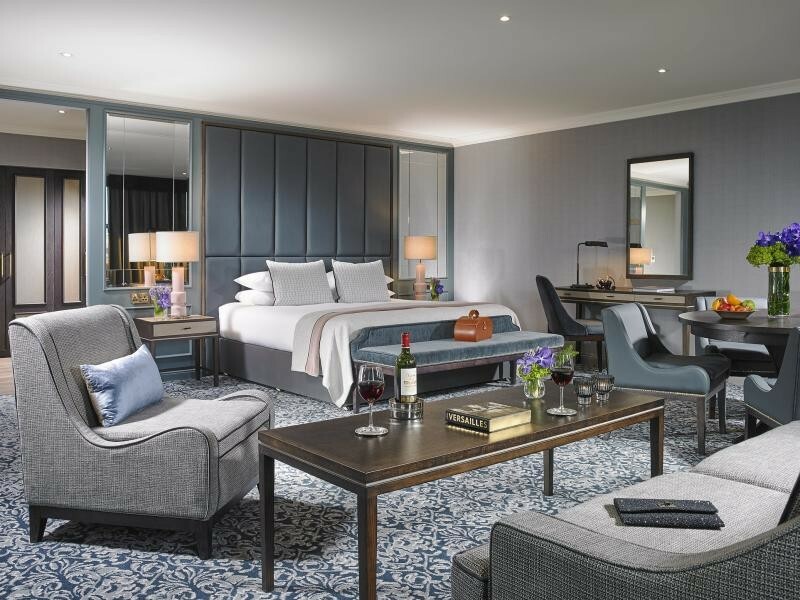 The Landmark Hotel is located in the scenic riverside town of Carrick-on-Shannon, with stunning views of the River Shannon, the 4* Landmark Hotel is just 1hr 40mins from Dublin and 30mins from Sligo. 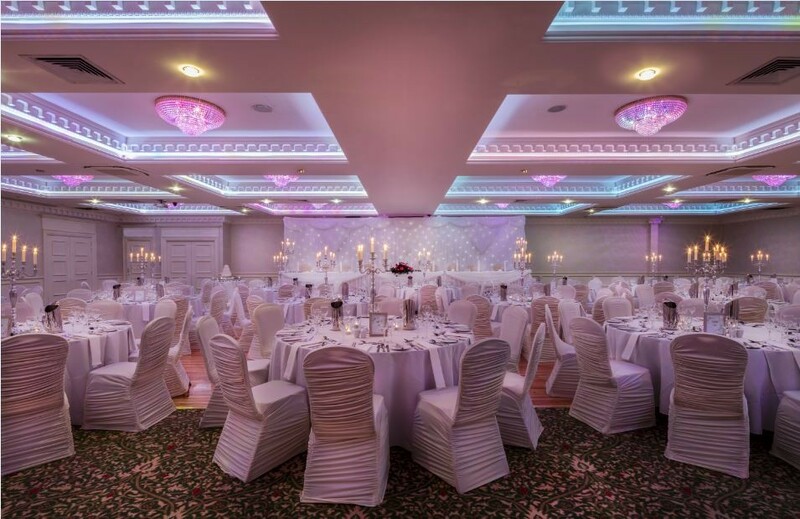 The Landmark Hotel is a Hotel Wedding Venue from Co. Leitrim servicing weddings throughout the local area including Roscommon, Mayo, Cavan, Longford, Westmeath, Mullingar, Sligo, Galway, Monaghan, Letterkenny, Donegal, Fermanagh, Athlone. The Landmark Hotel is a brilliant Hotel Wedding Venue that has been part of the Hotel Wedding Venue industry since 1999 specialising in weddings, bride and grooms, decor, good food, quality, good service, exceptional location, professionalism. I couldn't praise the landmark hotel,Imelda, Ciaran and all their staff enough. The food was outstanding and the service was the best service I've ever encountered at a wedding. Even our guests couldn't get over the service. The reception area and ballroom was equally amazing. If you're thinking of booking the landmark, do!! For any bride and groom looking to pick their venue, I honestly cannot recommend this hotel highly enough. They literally provide five star service from start to finish. Our wedding coordinator, Imelda Scally was amazing in helping us to be fully prepared for the day. We had lots of consultations with her and always felt we could pick up the phone to her or any member of the staff to answer any queries at anytime. Our menu tasting evening was also superb!! We happened to get talking to the very talented chef, Hugh, so we always knew our Wedding Day was in safe hands with these two experts looking after us. Two of the biggest things that was very important for us was the service and quality of food as our numbers were quite large. The Landmark Hotel exceeded our expectations in regards to us – our guests are still talking about the meal they received on the day. Thank you again to everyone at the Landmark for such a fantastic day. We will definitely be back for a visit soon ???? Imelda and all the staff of the Landmark Hotel made our wedding experience so special and catered to our every need. Imelda was so attentive to our requests and no question was unanswered she was easy to contact and happy to ease our worries. The entire staff of the Landmark were so professional the quality of service during our wedding was impeccable. All of our guests commented on the quality of service and food on the day. I cannot recommend Imelda enough as a wedding planner she is so calm and meticulous for details. Your day is just as important to her as it is to you. You are not just another wedding she was focused 100% on making our day as perfect as we imagined. Thank you so much to everyone who made our day one we will remember forever. Review by A day we won't ever forget! We were so delighted with the way our wedding day went and all the compliments we received from everyone, from the start of the day, through the dinner, which also got waves of compliments, through to the end of the night, we couldn't be happier!! The Landmark is a great place for a wedding and we would have no hesitation in recommending the venue to anyone. Imelda made the whole process feel so stress free leading up to and including the wedding day. We had a wonderful Christmas wedding experience with the Landmark waterside venue. 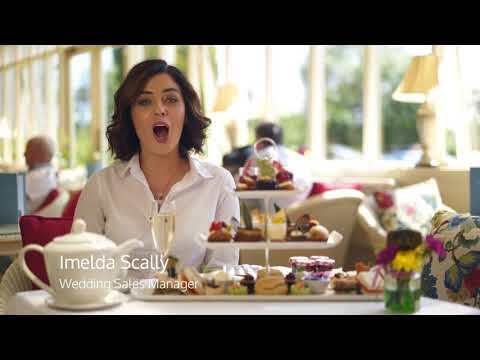 We could not have asked for more in relation to personal service provided by wedding coordinator Imelda Scally. Owner Mr. Kelly introduced himself the day of our wedding and provided a complimentary drink to the wedding party. Fantastic location with homely/cosy interiors. Thanks for making our day so special. 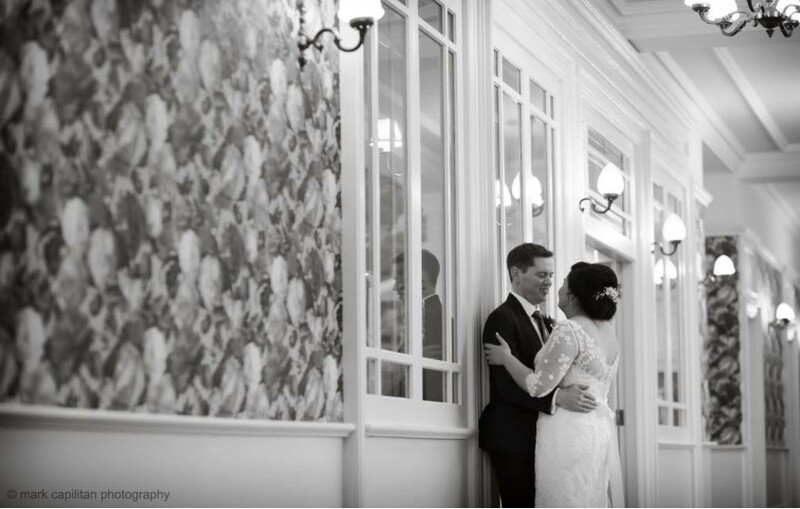 From the moment we met Imelda, the wedding sales manager, we knew our wedding was going to be in the landmark. We received 5 star service from start to finish. Imelda has an amazing blend enthusiasm and professionalism. Her competence in what she does really stands out and helps put you at ease on the big day! The hotel staff in general are incredible and Matthew, the general manager, was amazing and accommodated every request we had. We could mention a dozen other things we loved about the hotel but we wanted to give a special mention to the quality of food - it was amazing on the day and you can see the hotel takes great pride in this! Wonderful experience overall and would highly recommend! The wedding went so smoothly and stress free I was able to enjoy my day. The feedback has been amazing everyone enjoyed the venue and the food. We recently had our wedding in the Landmark Hotel. The quality of service that all of the staff provided on the day was second to none. The food was excellent, all the staff were so accommodating and helpful. Since we booked our wedding last year we had been working closely with Imelda who was always on hand to help in any way she could. She put our minds at ease, was so professional and the whole day went off perfectly! We cannot thank them enough for all they did for us and would highly recommend them to any couple! All we can say is this venue is amazing. 100% perfection. We could not fault anything. Everyone was well looked after, the staff were fantastic in everyway, but it wouldn't have been possible without the hotel wedding planner Imelda Scally. She was absolutely amazing, nothing was any hassle to her. This lady is a genius at her job. This lady is one in a million. Thanks Imelda and the Landmark hotel. Imelda and the team were so helpful from the very start. Nothing was any hassle and we really were given 5 star treatment. The food, service and accommodation were all incredible! The Landmark Is an Absolutely Amazing Venue, We Were Treated like Vips. Imelda and all the Staff really know how to put you at ease and look after everyone so Well. Would Highly recommend this Venue. Our wedding reception at The Landmark Hotel exceeded all expectations we had for our special day. Imelda and her team were absolutely amazing and all requests we made, were fulfilled. The dinner service was so efficient and the staff extremely helpful. The food was amazing , which was exactly as we had received at our tasting. Our guests could not compliment the venue enough and are still talking about it, two weeks later. We would highly recommend The Landmark Hotel to any couple looking for a venue for their special day. You and your guests are welcomed so warmly and it is an experience rememberd by all. Overall we were very happy with the service provided by the Hotel. However, we did ask for flexibility re having the speeches after the starter and this was not allowed. Our wedding day couldn't of went any better. It truly was the best day of our lives and couldn't of done it without Imelda. She was an absolute pleasure to deal with and is a credit to herself. She done anything we wanted for us.I am so glad we chose to get married in the Landmark hotel. The whole team at the Landmark were absolutely brilliant on the day. Our guests have not stopped raving about them all and their politeness. They couldn't of done anymore for us. The food....oh my god it was delicious. ALL of our guests could not get over it. The boxty starter stole the show we think. Our friends are still talking about it. The whole meal was absolutely fabulous, and there was definitely no shortage of food on the day. We wish all the team all the best in the future in The Landmark hotel and will call in when we are down again. Thanks you so much again for making it the best day of our lives. The hotel was just beautiful. All of our guests commented on how fantastic the food and service was and how professional the dining staff were. Thanks to Imelda and Saoirse who went above and beyond the call of duty to ensure we had a fantastic day! Could not fault the landmark. Imelda and Andre are brilliant and nothing is too much for them. Food was amazing and service outstanding. The Landmark is a first class venue who leave no stone unturned to make sure your big day is one to remember. They simply are the best. Imelda and her team at The Landmark Hotel are amazing. They could not have done anything more to help us, to make our day go as planned and be as special as possible for me and my husband. We had a civil ceremony and our reception at the hotel. The team was amazing and helpful with any last minute request and nothing seemed to be too much for them to do on our behalf. Both the ceremony and reception room were decorated beautifully and exactly how I had imagined it to be. The food and service were amazing and all our guest spoke about the quality and professionalism of both. 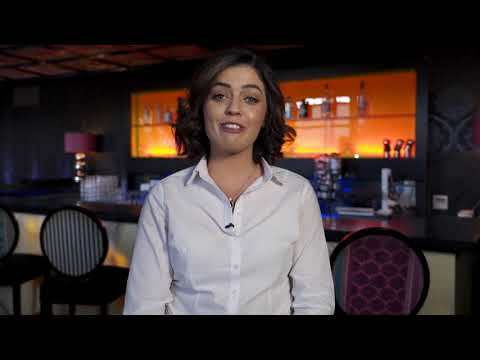 We are both absolutely delighted to have had Imelda and her team at The Landmark be a part of our big day and would recommend The Landmark Hotel to anyone who is looking for a place to hold their wedding ceremony and reception. There was not a thing about our dealing with The Landmark Hotel that I could fault. Truly Amazing. We had the best day all thanks to all of the staff at the Landmark. Every single guest was overwhelmed with the service and how friendly everyone was. We enjoyed it that much that we have decided to make it an annual trip with all our guests in tow. Not only were they amazing up to and on the day but the care and support after was heart warming. I could not thank the hotel enough. Every member of staff are amazing people and i now have a favourite place in Carrick on Shannon. 100% recommended!!! Everything was wonderful the staff were accommodating and helpful and very friendly . Imelda and her assistant were brillaint in the setting up of the wedding making sure we were happy with everything. Everyone had a great time would highly recommend it! Food was amazing aswell couldn't get enough! We had our Wedding Reception in the Landmark Hotel on the 21st of July and to say it was excellent would not be enough. Imelda who is the wedding co-ordinator at the Landmark, was an absolute pleasure to deal with from the first day we met her we knew we had nothing to worry about as she is so organised and really knows her stuff, extremely professional and nothing is a problem for her. Imelda & Staff left no stone unturned it was complete perfection and their attention to detail at the Landmark Hotel is magnificent. Klaudia who deals with room reservations and Joanne one of the girls on reception were just all so lovely and a pleasure to deal with. The meal was absolutely fantastic our guests were all so well fed. Bar staff and waiters were all brilliant. The Landmark Hotel is a top-class venue to have a wedding reception. We had the most memorable day ever. I highly recommend the Landmark Hotel as a Wedding Venue to any couple getting married. Thank's from Aidan and I to all the team there for an unforgettable day. Fantastic service and attention to detail at every step,beautiful food and great choice,everyone catered for,every request satisfied.Imelda is fantastic at her job. Excellent highly recommend this hotel. Imelda the wedding co-ordinator was brilliant. We live in the UK and she really helped us make the planning as easy as possible. All the staff at the Landmark are friendly and professional. Our wedding day was amazing and everything went exactly to plan. The food was fantastic and staff very flexible as we had to finish a bit early so we could watch England play in the World Cup semi final! Again the hotel were very accommodating with this last minute change of plan. We were very impressed with our honeymoon suite which was great for pre wedding photos. Most of our guests stayed at the hotel as well and were pleased with their rooms and the standard of breakfast. Day went fantastic. Service and food was excellent. Very friendly staff and the ballroom looked great. Imelda made sure the day went very smooth for us and was very helpful throughout. I'm not sure where to start - our experience with Imelda Scally and the entire team in the Landmark Hotel was fabulous from beginning to end. The lead up to our big day was pretty much stress free. This was due, in no small part, to the confidence we had in the absolute professionalism and experience of the wedding team. Before we decided on the Landmark as our venue we felt welcomed and comfortable. Our initial viewing introduced us to many of the selling points for us - fabulous private reception area, beautifully lit and decorated ballroom with its own bar, toilets next to the ballroom, private room for the bridal party on arrival (we didn't realise how much we would be grateful for this until the day! ), fabulous bridal suite, the only wedding on the day, and an absolute willingness to meet any requirement we had outside of the package we chose. Questions were answered before we needed to ask and any questions we did have were welcomed and addressed fully. Imelda was fully available for us to meet as often as we needed and during these meetings was brilliant to offer practical advice that certainly added to our experience. She was incredibly interested in and enthusiastic about our big day. On the actual day Imelda was warm and welcoming and worked very hard in the background to keep everything running smoothly. Not once did we have any reason to question our decision to choose the Landmark. The day was relaxed and enjoyable for our guests who felt looked after and repeatedly complimented the exceptional standard of the food and the service. We had the best day of our lives, truly. We had our wedding this June and we could not recommend imelda and her team at the landmark enough! Her professionalism and attention to detail was top class! From the moment we booked our date everything was plain sailing as they just took care of every aspect! On the day our guests complimented everything from the arrival drinks and canapés to the fabulous meal which everyone commented on and raved about! The hotel decor is just stunning and all staff were a pleasure to deal with! 5 stars all around and would highly recommend the landmark hotel for a stress free top class wedding! Imelda was so helpful the whole way through. She is confident which put us at ease and had our wishes to the forefront all the way. We didn't need to think of anything, Imelda and the team couldn't have done more. They listened to what we wanted and made us feel centre of attention on the day. Since then, everyone raves about the service, food and drinks on the day. It was the best day, and we couldn't have been happier with the Landmark. The landmark hotel made planning our wedding so easy from the first moment we met Imelda right up to the day after the wedding there was never a problem the food and service on the day was excellent we would highly recommend the hotel to all family and friends. We had our wedding in the landmark on the 17th may this year and everything was fabulous. We had a small wedding with only 45 guests. It was the perfect setting for a small wedding for us. We had a civil ceremony in the rowing room which was done up beautifully and the meal in CJS restaurant. All the guests raved about the quality of the food and how beautiful it was. We danced late into the night and had the small mallard bar to ourselves where the gorgeous evening food was also served which was brilliant. The attention to detail from imelda and all the staff was just brilliant could not recommend the landmark enough for a small or large wedding. We had our wedding on 5th May. We cannot thank Imelda and the team for everything they done for us. Everything we asked for and more was provided on the day without any stress. Our guests are still commenting on the fantastic service, great food and friendly staff. This even followed through to our post wedding celebrations which we also had in The Landmark. Several times I was met by management staff who always enquired how we were or if we or our guests needed anything. It truly was the best weekend of our lives and dealing with Imelda and the team was a pleasure from the get go. Cannot recommend them highly enough. Myself and my wife Martina recently got married in the Landmark Hotel. After been to a number of weddings there before and after meeting with Imelda initially it was an easy decision to book the Landmark and we were delighted with our decision. Prior to our big day, we met with Imelda and the wedding team a few times to organise the food and all the logistics for the day. We had a number of final questions within the last week but as we met we Imelda she had everything predicted we would ask and made us feel at ease. On the day of the wedding, everything went according to plan, we arrived on time and everything worked liked clockwork from there. We wanted to mingle with friends and family a little more before dinner so we were able to delay dinner by 15 mins which was nice flexibility. We had choice of starters and mains and everyone was very complimentay of the quality of food that the was produced on the day which was evident by all the clean plates as we walked around to chat with everyone again. The garlic mash was also a big hit at the tables! The white wine was nice and cold as we had requested so this just another example of their attention to detail on the day. We had the owner meet and greet us all the top table and he bought us all a drink which was nice personable touch. The food service itself was excellent, the staff were all very helpful, friendly and professional throughout the whole service. The bar was well staffed and there was practically no wait to get a drink. Overall, I would highly recommend the Landmark Hotel for a wedding, it is certainly the best venue I have been to and seeing all the work and preparation they do behind the scenes I can see why they are at the top of the wedding venues around. Thanks again to Imelda and team for letting us have the best day of our lives in your venue. All the best, Brian and Martina???????????? P.S Best of luck to Imelda who will be taking part in the Rose of Tralee in August! You can do it! ???? What can I say in a few words..We had a fabulous experience with everyone we met & Spoke to at the Landmark from the very start of planning our wedding day, to a few days after, Imelda guided us every step of the way. We had an idea how we wanted our day to play out, Imelda had some great input to add. So once our date was set, every email was responded to & calls answered, booking guests was trouble free, both ceremony & reception was more than we hoped for, the food-wow plentiful, delicious, presentation was 1st class. Waiting staff, we believe we were blessed, friendly caring, treat us and our guests like family, and I have to comment on over all price, we had 113 guests,use of upper lobby, private bar, ceremony room, decorated beautifully and ballroom, not to leave out the bridal suite and other rooms, fantastic all round value for money, don't just take our word try the Landmark Hotel yourself, we will be forever grateful to Imelda and staff for a great start to our married lives. 100% recommended to have a dream come true and more. We looked at a number of hotels before choosing the Landmark Hotel. From the start Imelda, the wedding co ordinator made our choice easy by really understanding what we wanted to achieve. The hotel lived up to all our expectations with amazing food and a brilliant atmosphere. Myself and my husband got married in your hotel on the 16/03/2018. 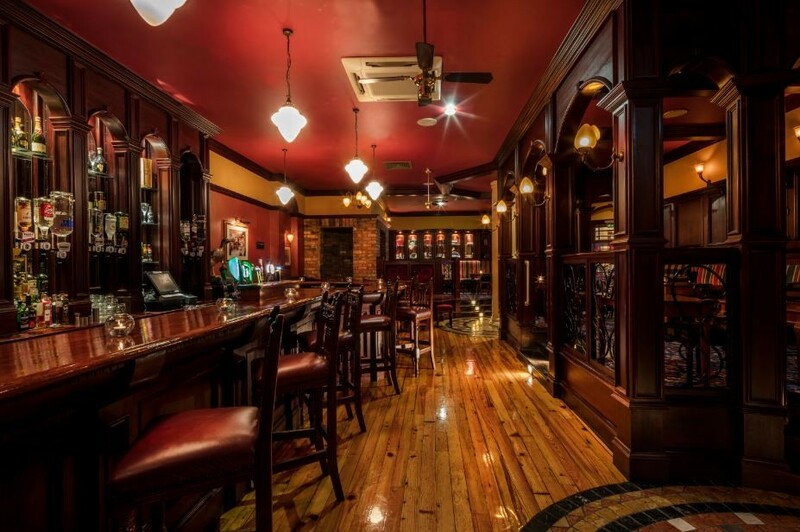 We hail from Roscommon Town and Kilmore and thus we have an opportunity to frequent the Landmark on several occasions. I was also bridesmaid on two occasions there. Baring in mind our geographical location we had a wide radius of hotels to select. Athlone, Roscommon, Sligo and Leitrim. However, based on these previous experiences it was never a question as to where we would chose as our venue. Our first point of contact was with Imelda. This was sensitive as we were not officially engaged and needed to be discreet. From that moment on we were 100% on board the Landmark train. Imelda was an absolute pleasure to deal with at every occasion. Her attention to detail was phenomenal and Imelda wanted every base covered prior to the day. I found Imelda to be authentic, intelligent and exuding love for her job. She clearly understood my wishes in regards to decor and executed those to perfection. It is clear to see why Imelda was honoured with wedding coordinator of the year. Klaudia the reservations manager. Again so efficient and coordinated bookings fantastically. The chef - the most important man of the day other than the groom I think. Friends, family, neighbours have text me to comment on the standard of food that was served. It was simply delicious. Each and every course better than the other. The banqueting Manager who was so kind on the day and also the lady who walked us into the room and looked after us at the top table. Guests commented on how each table was served simultaneously and this was a major plus. They did their job so well. My mother and father commented also how fantastic they were and at one point the lady turned my mother’s coat inside out so as to protect it. It was lovely of the owner to also come to the top table and ask us how the day was going. A very personal touch and one I am sure would not be carried out in most hotels. We chose to have our second day in The Landmark. The private room was just ideal. The serving staff again - outstanding and professional. There was 300 people there and not one negative comment. I was proud to have my wedding in the hotel and forever more will have beautiful memories of our day. My husband and I had our wedding reception in the landmark hotel just over 2 weeks ago now, it was amazing from start to finish, Imelda and the whole crew at the landmark helped us so much everybody commented on how amazing the food was and how fabulous the recent refurbishments in the hotel look! I would have absolutely no doubt in telling couples to have their reception here, could not speak highly enough of our experience! Review by Mr and Mrs Watters! I recently attended a wedding at The Landmark Hotel and was blown away by the whole set up. From the beautiful food to the tasteful decor I literally couldn't fault it. The staff stood out to be very helpful and totally professional in particular the wedding coordinator Imelda was there on hand to make sure the day went off seamlessly. I would highly recommend The Landmark Hotel as an AMAZING wedding venue. We got married in the Landmark on the 29th of December 2017 & we can't recommend them highly enough. From the moment we met Imelda she went above beyond to assure and help us throughout the process and make all the organising extremely easy. We hadn’t a moment worry on the build up to or during our big day and the venue was immaculate. Every single part of our wedding day exceeded our expectations and the venue is credit to Imelda and the staff at the landmark. The food was beyond fabulous with all our guests being extremely impressed. I would recommend the Landmark Hotel to anyone looking for a wedding venue because without a doubt we had the best day of our lives and one we won’t forget. The Landmark hotel was absolutely superb from the first day we went to look at the venue right up to the wedding day and even after. The staff are so professional and efficient. They really personalise the day for you. They are so kind and nothing is ever a problem. I cannot say enough about the wedding planner Imelda. She is one in a million. Also Klaudia the reservations manager is super efficient. They have an amazing team in this hotel. The food was 1st class on the day of our wedding. Our guests are raving about it since. Also the guests have made many comments about how beautiful the hotel looks and also the staff are so friendly and efficient. I cannot recommend it highly enough. We had the pleasure of working with Imelda throughout our wedding plans. From the start Imelda made us feel welcome, relaxed, special and nothing ever seemed to be a problem. From start to finish on the day itself, everything ran smoothly, the food was fantastic and the service was impeccable. We had the honour of being the first wedding after refurbishment went on and the result was amazing. We were overwhelmed by the attention paid to every little detail by the staff and the team. Our wedding coordinator Imelda Scully was absolutely fantastic. We couldn’t fault her from the minute we stepped through the door. She was approachable, friendly, always available and extremely professional. We would recommend anyone to get married here, Imelda and the team took all our worries away. We had our wedding in the landmark on the 14th of October this year. The food and service was exceptional. We could not recommend the landmark highly enough, Imelda the wedding planner looked after us so well and was very professional and friendly. Fantastic venue for a wedding. From the moment went to view the Landmark as a wedding venue, we were not disappointed. It was prefect in every way. No other venue matched up. Imelda gave us an absolutely amazing walk round the venue that i could imagine my wedding day before me. The staff are so friendly, helpful & were always so professionalism when we visited during our preparation. Imelda, our wedding co-ordinator was absolutely brilliant. We were always meet with a smile & No query was too big, always answered. If we needed any help with menu/suppliers etc she was on hand to offer advice. Our wedding day itself was amazing, we were not disappointed. Venue looked fantastic, exactly as we had wanted. Such professionalism from Imelda & staff the whole day threw, we did not have to worry about anything, the day ran like clockwork! Our family's & guests were delighted & amazed by the Landmark & staff also, They thought the food & service was top class. Alot of our guests had travelled so they thought location beside Shannon was beautiful. If we were asked now, would we change anything about our wedding experience with the Landmark, Answer is No!!! Where do you begin when trying to explain how fabulous a wedding day is at the Landmark. From the outset of booking rooms and requesting little additions everyone from the reception staff to the fabulous Imelda the wedding coordinator are just second to none. All the guests remarked on the rooms, the so so comfy beds and how spotless everything is. The meal was just fabulous and the waiting staff were so friendly. Even the night porter was lovely to chat to. Some say its just the natural friendly manner of Leitrim people but when you add it all together under one roof it makes for a 5 * experience. A day we will never forget- thank you to everyone. We got married on the 16th September 2017, I cannot recommend this venue enough, the service was outstanding from beginning to end, our guests still talk about our day and how amazing the food was. From the moment we arrived the staff where so professional and welcoming. Imelda was our wedding coordinator, she is fantastic at her job. She was extremely helpful and professional. On the day Imelda and all the staff where so attentive and thought of every little detail. The hotel has a brilliant layout for weddings and I couldn't fault any part of the day. We got so many compliments from our guest about the drinks reception, the amazing food & service during the meal and how friendly all the staff are. I would highly recommend the Landmark Hotel!! Thanks so much to Imelda and all the team for everything. Got married in the landmark hotel in August of this year. Imelda and her team were fantastic from start to finish could not rate them highly enough. We were planning our wedding from Australia which we thought would be a mission in itself. The landmark were on hand whenever needed and made everything so easy. We had the most amazing day with a fantastic package and service. Our wedding day was very special. The staff team in the Landmark hotel were very professional and the service was excellent. Our guests commented on the quality of service and the lovely food????. From the beginning Imelda and all the staff in the landmark were so friendly and professional. We had our civil ceremony in the hotel as well as our reception and it was an amazing day. Our guested commented on how lovely the food and service was. We definately recommend the Landmark for your wedding. Thank you to everyone in the Landmark hotel. We got married in the Landmark at the end of July & I can't recommend them highly enough. So many people have told us it was the best wedding they've ever been to & I'm sure a lot of it has to do with holding it in the Landmark & the amazing wedding planner Imelda From meeting Imelda she went above & beyond the expectations we had of a wedding coordinator; she offered suggestions, was always on hand for questions & put everyone at ease The day was literally the best day of my life - with everything I dreamed of & more. The extra added touches like the red carpet entrance, the cocktails at the drinks reception, the late night bar access, the light system in the function room! I could go on - the venue & surrondings are beautiful, the food is fabulous (someone told me he could still taste the beef the next day it was so good). 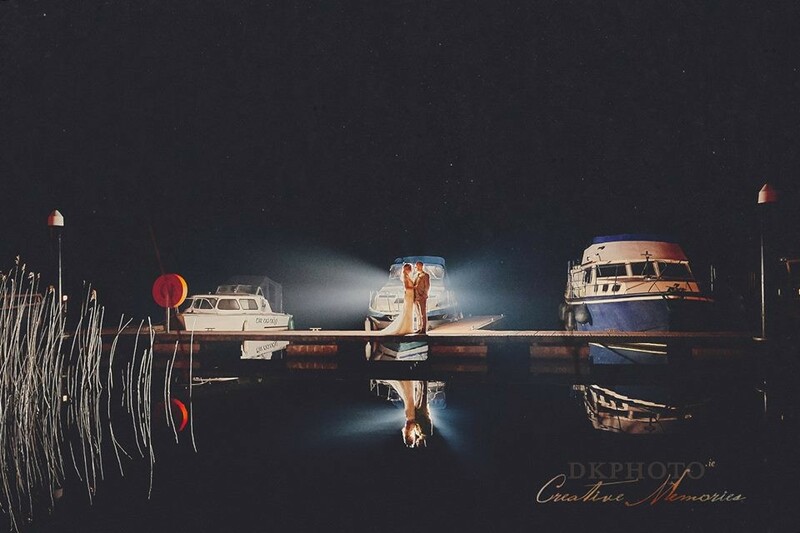 I would 100% recommend anyone to get married here - you will love it. I'm only heartbroken I can't do it all again tomorrow!! Couldn't speak highly enough of Imelda, Anne & their team at the Landmark Hotel... from start to finish they were a dream to work with & helped make our day so special & hassle free! We knew that we could trust their professionalism & judgement which gave us great peace of mind. The food & service were top quality, our guests still mention it to us which is nice to hear. Couldn't fault them on anything, we had the most amazing wedding in The Landmark! They couldn't do enough for us ???? We got married at the Landmark July 22nd 2017. If I could describe our wedding location in one word it would be 'spectacular'. Our wedding day could not have been more perfect and this was because we were so relaxed on the day. I can only attribute our state of mind to the staff at the Landmark. They were so pleaseant to deal with at all times and accommodated all of our requests. We had our ceremony and service at the hotel and it was beautiful and intimate. The food was amazing and the Ballroom was elegant. Imelda and Ann were so wonderful and kept us calm leading up to and on the day of our wedding. 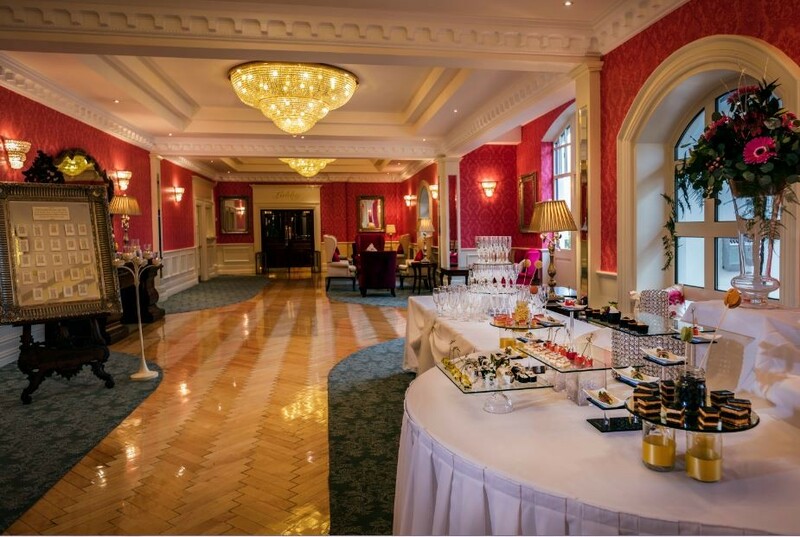 Myself and my husband Derek had an amazing experience dealing with the Landmark Hotel during the lead up to our wedding and especially on our wedding day.All the staff were very nice,friendly and so helpful which put our minds at ease with so many wedding preparations. I would recommend the Landmark Hotel to anyone looking for a wedding venue because we thoroughly had the best day of our lives. I cannot recommend the Landmark Hotel highly enough as a wedding venue. Staff, service, food accommodation, were just excellent. Imelda, the hotel's coordinator is a true professional. Nothing was ever an issue and she without doubt took away a huge amount of stress around the planning. The food was superb and all our guests remarked on this. People still tell us how brilliant the meal was at our wedding. Service and freshness of food was top quality. 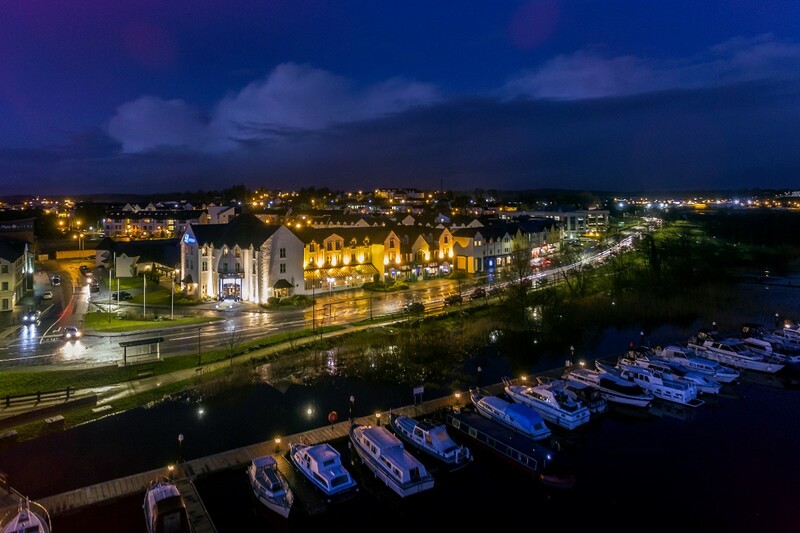 Location of the hotel is also excellent with beautiful views overlooking the River Shannon. We were lucky enough to have our wedding reception at the Landmark Hotel in July this year (2017). We were delighted with every aspect of the service provided from initial enquiry to check-out the day after the wedding. The service from Imelda and the team in the Landmark was excellent and any request we had was carried out with a smile - nothing was too much trouble. There was an impressive selection of drinks at the drinks reception with summer cocktails, prosecco, beer, soft drink, and tea and coffee all on offer. The dinner was absolutely delicious and more than plentiful. I wouldn't hesitate in recommending the Landmark Hotel as a wedding venue. Thanks Imelda and team for providing such an enjoyable, stress-free experience. We got married in the Landmark Hotel on July 2017 and can honestly say it was one of the best days of our life, it couldn't of went any better, it was all we hoped for and much more. From the moment we walked in the door at The Landmark Hotel we knew it was the one for us and we were not disappointed. The welcome that we got on that first day we viewed the hotel blew us away, they were so professional and welcoming. The service was outstanding from beginning to end, our guests still talk about our day and how amazing the food was. The waiting team was outstanding and really looked after all our guests so well. The ballroom was done up lovely, the attention that we were given was second to none. Special mention to Imelda and her team, She was absolutely fantastic in the lead up to our wedding and on the day itself, she made the planning of our special day so so easy. Imelda was fantastic, nothing was any hassle she always had a smile on her face. Any questions we had were answered promptly by email or phone. She was extremely helpful and an absolute pleasure to deal with. I cannot recommend this venue and Imelda enough, the service was outstanding from beginning to end. We recently got married in the Landmark hotel and we can not speak highly enough of it. Imelda, the wedding coordinator made the planning stage as stress free as possible, nothing was a problem for her or her team and that means so much when you are busy planning. She was very professional yet friendly and down to earth, taking on board what was important to us as a couple. As for the wedding day, I think our guests are still talking about the beautiful meal they received. It was very important to us that not only did all our guests receive a delicious meal but that there was great service also. We need not have worried, every table had their own server and food was served without delay. All of the staff were very friendly and helpful, Veronica in particular made us feel so relaxed as she kept us on track throughout the evening. Overall we found the Landmark hotel to be an excellent wedding venue and would highly recommend it to couples. THE MOST INCREDIBLE DAY AT AN EXCEPTIONAL VENUE. The lovely Landmark. From the moment we walked in the door at The Landmark we knew it was the one for us and we were not disappointed. The welcome that we got on that first day is so characteristic of the Hotel. The Wedding planning team and especially the fantastic Imelda made the planning of our day so easy. Any questions we had were answered quickly, any requests we had were handled with a can do attitude, and there was nothing that was too much trouble. Considering we were planning from London it was all the more important and we had nothing but confidence. All the staff are fantastic though. I have honestly never been somewhere that gives every person who walks through the door such a genuinely warm welcome. Our guests who came from all over the world were blown away by the hospitality. The location itself has to be one of the most beautiful places you can find. I admit I am biased as I have roots in Leitrim but the sun shone over The Shannon on our day…28 degrees and I would challenge anyone to find a more beautiful scene. The day itself was more perfect than we could ever have imagined and every detail was organised and executed to our requirements without any hassle. The ceremony went without a hitch and we had pictures over at the boardwalk while our guessed indulged with ice creams, tasty hors d’oeurves, champagne and Guiness. We knew the food was going to be exceptional from the food tasting but that was just us and the kids. The Landmark delivered a 6 course meal of such quality that it could have been from any posh restaurant in London to 150 people. All the guests were offered seconds in case they were still hungry which you would never get at home and for the grand finale they finished by bringing everyone chocolate strawberries with dry ice coming out of teapots for dramatic effect. We had no idea that would happen, it was a lovely surprise and everyone loved it. Not only did the food taste incredible it was piping hot and the service impeccable. No table was ever waiting enviously for their food to arrive. It was exactly what we wanted! We followed that with a Jar Bar of his and her cocktails which went down a storm with the guests. The Landmark has great tips and recommendations too. We used flowers by Gemma and Rakish and Gobsmacked as bands. It was so easy because they have good working relationships with them already so both sides knew what to do and there was no hassle for us. The party was fantastic, a buffet was served late and then more was brought out about 2am. When we were still in the residents bar at 5am they brought us more sandwiches! We didn't pick The Landmark based on price but the value for money is absolutely astounding! We actually stayed for a nearly a week in The Hotel and when we were leaving we were so sad as we had made such special memories and it felt like we were leaving friends. I could literally keep going about how special they made our day. They really wanted everyone to have great time and went the extra mile to achieve it. Everyone says it was the best wedding they have ever been to and that is because of the hotel. For us it was the perfect venue, first class service without being stuffy. We can’t wait to come back for our one year anniversary. Special mentions must go out to the absolutely incredible Imelda - the woman is a machine and has a constant smile on her face , Jarlath, Anne, Klaudia and the chef whose name escapes me but deserves a medal. 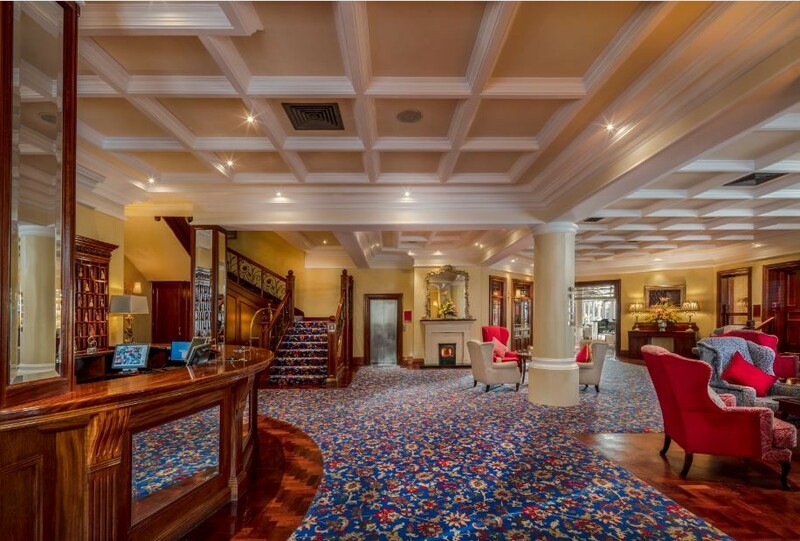 We had our wedding in the Landmark on 12th of May.I knew from being at other weddings there that it was a top class venue but we were so impressed with the service we got. We dealt with Imelda who was always there to help with any query we had but yet didn’t hassle us with nonsense phone calls, she always put us at ease and no request was too much. The day itself ran seamlessly, the food and service were brilliant, lovely friendly staff, we had lots of great feedback from our guests. We were treated like royalty! The Landmark Hotel and the staff are just excellent at what they do. We got married in the Landmark Hotel last Saturday, 29 April 2017. The day was perfect, everything we had asked the team, and especially the wedding coordinator Imelda to do, was put in place just as imagined. The service was outstanding and the food was incredible. All the staff treated us as royalty, with special mentions to Imelda, Matthew, Ciaran and Veronica. Nothing went wrong on the day, everything went so smoothly. The extra special touches that occur during the day don't go unnoticed (I won't mention them as they were such lovely surprises!). Imelda offered us the candy table stand and photo props on the house which were lovely little extras also. In the lead up to the wedding, Imelda was always available for a meeting or call, and kept in touch via email. She offered advice and help during the run up to the wedding, providing us with her knowledge and experience. We found her so personable and easy to work with. The day after the wedding, we hung around the hotel as we staying the second night. My new husband and I sat down for lunch and when we went to pay, the hotel management had it paid for. We were told that no check out time applied to us and to take as much time as we needed. I just want to do it all over again, and I would definitely go back to the Landmark to celebrate same. Words cannot come even close to describing what a fantastic venue the landmark hotel is!everything and anything is not a problem to this hotel. From our amazing wedding co-oridinator Imelda nothing fazed her to my different requests. To allowing us to bring hay bales into the hotel and having our wedding the way we wanted they couldn't be more accommodating. Everyone should have their reception here, after having looked at 14 other hotels myself when we walked into the landmark we knew straight away this was the hotel for us. I just wish I could get married everyday to be able to relive my wedding day. Imelda herself is the most talented lady ever. So easy going and nothing is a bother to her. She made the day go so smoothly and myself an my husband had nothing to worry about. We can't thank the hotel, it's staff, and the owner enough for making our day so so memorable. I will definitely be telling everyone to have their reception here! Upon first meeting Imelda at the Landmark Hotel, I Knew that we were in good hands. Myself and my husband and been to other venues and hadn't seen what we wanted. But we both knew that The Landmark Hotel was the ultimate venue for our special day. Nothing was a problem for Imelda and the team at the Landmark. We had a very special day at the Landmark Hotel and would have no hesitation in recommending this venue to another couple. Everything was delivered and designed with ease. Excellent service from start to finish. Nothing was too much or too little for Imelda and the team at the landmark to complete. All guests commented and could not believe how amazing the food,service and attention to detail were on the day. We both had such a fantastic experience from start to finish and could not recommend the Landmark hotel enough. We got married at the Landmark hotel in March this year and only have good memories of our day. Imelda the wedding manager went above and beyond to help us from the time that we first contacted her. Everything went so smoothly on the day and people are still commenting on the quality of the food! The catering staff were so professional and courteous. 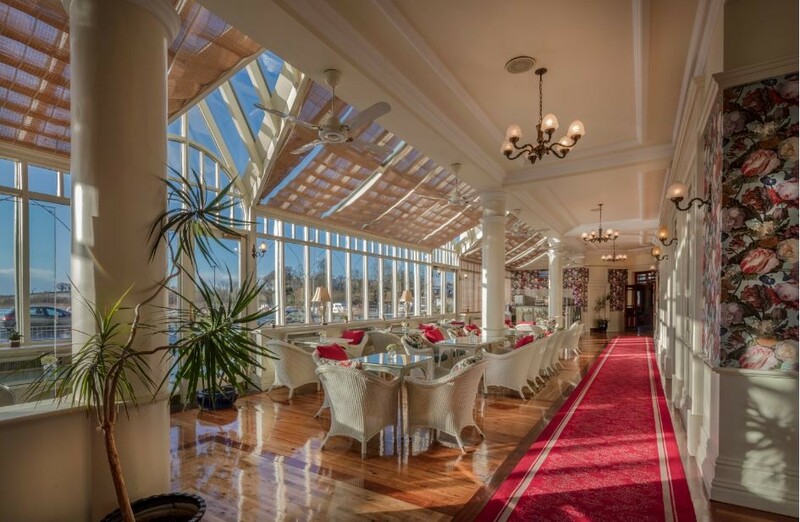 We would highly recommend the Landmark hotel for a perfect wedding day! The Landmark Hotel is absolutely amazing. Everything about it is flawless, the hotel itself, the staff, the food, I cannot recommend it enough. From start to finIsh we felt so at ease with staff. Any questions or requests we had were met very quickly and without hesitation. All of our guests are still talking about how fabulous the staff and hotel were. The work the wedding team put in is second to none. To anybody trying to decide on a hotel, The Landmark Hotel is 100% perfect in every way. Amazing venue, staff, location & food. From the moment we booked our wedding we were looked after so well. Imelda, the wedding coordinator is amazingly efficient and professional. She listened to us and made us feel completely at our ease. The food was incredible and we got so many compliments. We knew it would be as chef, Hugh Armstrong, had helped us with the menu and he had some great great tips and suggestions. Our guests were so impressed with the food and service on the day (and day after! ), as were we. The Landmark provide such a personal service, we have no hesitation in recommending the Landmark to any prospective bride and groom. We got married in the Landmark on New Years Eve 2016 and can honestly say it was one of the best days of my life!! We booked our wedding last february with the previous wedding coordinator however the hotel management dealt extremely well with the change. The general manager dealt with us personally until a new coordinator was in place and the new coordinator- imelda- was excellent!! She promptly responded to any queries which we had and made numerous suggestions and ideas for our day. The hotel staff are extraordinary- from the food tasting our waiter ivan remembered us and came to wish us all the best on our day even though he was not working at our reception! The hotel were so helpful- when we didn't overly enjoy the chicken dishes in our original food tasting the head chef hugh devised two additional dishes for us to taste which were out of this world!!! He personally came to meet us and talk us through the menu and adjusted the vol au vent to accomodate our personal tastes. On the day itself everyone came away talking about the excellent food- from the freshness of the vol au vent to the fantastic taste of the leek and potato soup with the added bacon croutons to the tenderness of the steak and chicken followed by a perfect combination in the lamdmark medley! Everyone also spoke about the prompt service and professionalism of the staff with white gloves and their general willingness to help in any way possible!! At the top table veronica and bernie were impeccable- they were friendly, made us feel relaxed, chatted and were extremely attentive!! The layout of the wedding room is one of my favourite features as the proximity of the bar to the dance floor ensures that noone escapes without some element of dancing!! The private mallard bar is a lovely bar for mingling with guests before the meal and again into the night and i love the reception area which has a real touch of class with chandliers and a fountain! All areas of the hotel were spotless and the breakfast the next morning was cooked to order! Overall i would definitely choose the same venue again And would Recommend it to any friends and family- only slight downside is it only has 49rooms in the hotel which may be tight for larger weddings but cryans is only 50metres away so this isnt really an issue! Imelda and the team were BRILLIANT!!! She left us alone (pre-wedding) enough to not annoy us and contacted us just when needed. She was always available to help with ANY query! All my family and friends had an amazing day! Thank to all at the Landmark!!! We had our wedding in the landmark hotel over christmas, We went to the landmark as our original venue canceled on us, so as you can imagine we were very stressed. From the minute we walked through the doors and explained our situation , the empathy and willingness to make everything as easy and stress free as possible was outstanding . Matthew, Ann, Imelda, Ciaran and Hugh were all so helpfull and accomadating . We were told we could ring Ann or Imelda anytime day or night . On the day of the wedding, the service was extremely efficient, the food was amazing, we had a choice of three main courses and guests all commented about how nice the food was . Bernie looked after us at the top table and she looked after all our needs. We were greeted at the top table by the hotel manager Ciaran, and the chef Hugh after our meal which is a really nice personal touch . We had an amazing day and eveything ran very smoothly. The land mark is an exceptional venue in a beautiful location. We have just had our wedding there and we would not hesitate to recommend it. From our initial enquiry through to the wedding day and even for our stay afterwards we were made feel so special. Our Families and friends were overwhelmed by the level of service and the fantastic food which was served. We cannot thank Imelda, Hugh and the entire team enough, for their patience, attentiveness and amazing attention to detail. We got married in the Landmark Hotel in November 2016 and I cannot recommend the hotel and its staff highly enough. From the first time we met with Imelda, the wedding coordinator, we knew we were in safe hands. She is exceptional in her role and makes the whole process completely stress free; nothing was too much trouble. Our guests were all blown away by the delicious food and the beautiful surroundings. The staff were fantastic and went out of their way to ensure everyone had a good day. A number of guests stayed in the hotel for the weekend and had nothing but praise for the hotel, staff and the delicious food. We were so delighted we chose this hotel for our wedding as they made the whole experience so special. If anyone is looking for a first class wedding destination they should definitely consider the Landmark Hotel as they will not be disappointed. The hotel looked amazing on the day of our wedding, reception area & wedding room. Staff was extremely friendly & welcoming. Imelda was simple the most professional & Friendly person you could deal with. The food was fabulous & service was excellent. The whole day seemed to run smoothly with no problems We would highly recommend this hotel. We had a small wedding meal with 19 adults and 7 children in CJs restaurant. The food, wine, service and atmosphere was exquisite. That night we invited lots of friends and and family to Join us in the mallard bar and ballroom for a big party. With regard to location, the Landmark is ideal for fab photos. It is right there on the banks of the shannon and photo opportunities are endless. The day went so smoothly, there was nothing to worry about. We can't describe how happy we were with the whole experience! The following day was equally relaxed, our guests relaxed in the beautiful surroundings of the hotel and all of them commented on how stylish and impressive the hotel was. Settling the bill was no hassle at all. Everything was transparent and easy to understand. It's just a pity that the landmark cannot slow down time because the day was over in the blink of an eye! Many thanks to Imelda and all the team at the Landmark. You are all doing an amazing job! We had our wedding ere on the 10/10/16 the staff couldn't do enough for us very friendly we only had small wedding ere 80+ and ballroom was done up fantastic and got fab photos out on the borewalk would highly recommend it for wedding???? The Landmark was so helpful on our special day. We could not have asked for a better service from all the staff at the landmark hotel. Imelda (the wedding co-ordinator) was so nice from first day i meet her she put me so much at ease. Every one of the staff was so helpful and friendly every time i visited the hotel leading up to the wedding. They pulled out all stops on the day. i would definitely recommend it as the best venue i have ever been to-so i am so proud to have had the pleasure of having my wedding there. i had some things i wanted displayed in the pre drinks area and things i wanted to set up in the civil ceremony room-Imelda sent me home the evening before the wedding to relax and she set up everything. She was so flexible any time we had to arrange a meeting it was at time that suited me. ~They could not have done enough for us to make our day stress free and special. The food was superb and the setting of the room was breath taking. all my guests really enjoyed the day and everyone has been talking about the lovely setting of both civil ceremony room and ball room. Both myself and my husband cannot rate this hotel high enough we had absolutely no complaints and no concerns. we have been recommending it to loads of people already and we will continue to give it the praise it deserves. We had our wedding reception here and we could honestly not find one fault, the staff were so helpful particularly the wedding planner that made putting together our Special day very easy. The food was fantastic, hardly an empty plate went back to the kitchen. There was plenty of food for the evening reception although some were still full after the dinner. The rooms were very spacious and clean. Breakfast was good to. I can't recommend this hotel enough with its friendly staff and perfect location. The Landmark Hotel were absolutely fantastic in the lead up to our wedding and on the day itself. Imelda is so lovely helpful and approachable, with no issue too big or too small. It is safe to say every single member of staff wished us congrats on the day. We have had compliments from our guests on the 'wow' factor of the ballroom when the doors were opened, the food being unreal... especially the soup, and the service being so quick and efficient. We had the most fantastic day and could not recommend this hotel, Imelda and the rest of the staff highly enough. The service from all at the landmark was absolutely amazing! From the wedding co ordinater,management,staff and all here,there was no stone left unturned. We were made feel so comfortable and our day was absolutely perfect thanks to the wonderful staff,there was always somebody to answer any questions and I honestly feel that the hospitality here is second to none! There is nothing bad to say,I can only praise this hotel and staff. We couldn't have been happier with our choice of wedding venue. Imelda and all the staff were so professional and nothing was too much trouble to them. We would have no hesitation in recommending The Landmark to any future couples. This place is fantastic,couldn't speak more highly of the place. Anything we needed on the day it was sorted.it's 100% quality. Excellent place to do your wedding! Excellent attention, very friendly staff and helpful, nice bedroom, great food all served at the same time, they make all easy for you and very special for a special and important day in your life! We found the landmark hotel wedding team extremely helpful throughout the planning of the wedding . No request was ever too much trouble for them , we would highly recommend the landmark hotel for a wedding reception !! The landmark hotel was an amazing hotel for our big day. The wedding co ordinate Imelda and Team were spectacular and really could not do enough for us. They were there very step of the way in making our day so enjoyable. Due to heavy traffic on the day we arrive late at the hotel, but Imelda and team took this in there stride and re assured us that it would work out which it did. We are still getting comments from all our friends and family about such a incredible meal. 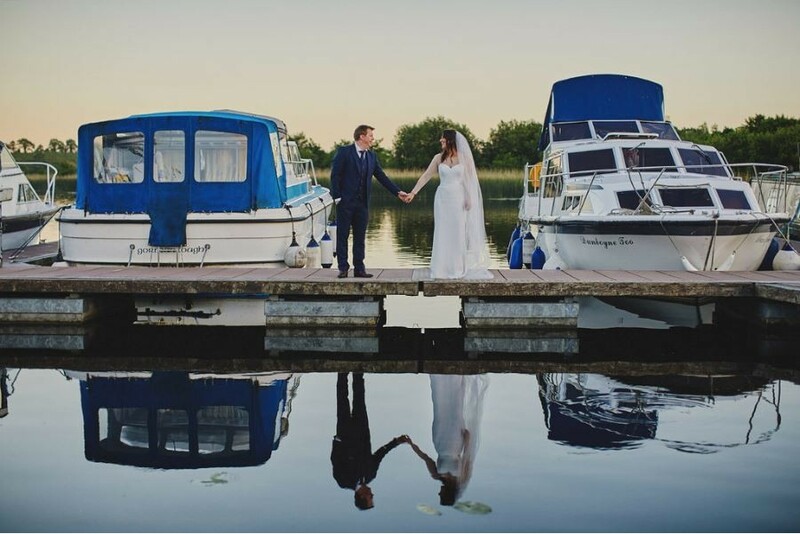 When we analysis our day, we could not be happier with our choice of venue and we could not recommend them highly enough to any other couples looking to book their special day with them. The Landmark hotel provided a top class service from day one! The venue itself is stunning, drinks reception area was beautiful as was the main ballroom. There was a great lively atmosphere on the day and our every request was fulfilled. The food was top notch and got many,many compliments from our guests. We had a truly memorable and magical day and all the staff in The Landmark helped that to happen. I highly recommend this hotel for your wedding. We could not have asked for a better venue to celebrate our big day. Right from the get go, the Landmark planning team for punctual, efficient and extremely professional. The day itself exceeded all our expectations. There was a great atmosphere when the wedding party arrived. All our guests were so well looked after on arrival. The meal was absolutely top drawer. Service at each table was lighting quick. The food was delicious and cooked to perfection. The ball room was cleared promptly afterwards and we danced the night away with our band and DJ. We could not have asked for any better. I could not fault the Landmark Hotel for one thing, from booking our wedding until right up to the morning after. Brian and Philip are the dream team so calm and collected nothing phases them and nothing is too big of an ask. The food was top class and everyone was raving about it afterwards, having worked in hospitality myself the food and service was of up most importance to me and once the top table was served to look down and see table 2 and table 20 getting served at the same time was brilliant I have never seen this in any other hotel so professional. I could not recommended the Landmark enough. Amazing amazing amazing! From start to finish the Landmark put us at ease. No request was to big or to small. Even the dessert buffet we asked for, the week before the wedding, was not a problem (note we were the 3rd wedding in a stint of 7 weddings in a row-it was christmas, so they had enough to be doing!) And as for the day it was seamless. The service, the food everything was fantastic. The staff are superb and one thing lots of our guests mentioned was the fact that each table had their own server so no one was left waiting for anything. We could have not had a better day. Thanks to Brian, Philip and the team for everything. I loved everything about the landmark!! I wish I could fo it all again! The Landmark were Outstanding in every manner. My husband and I organised our wedding from England, so obviously we weren't at home too often to keep an eye on organisation. But the Landmark made us feel at ease and took ownership of every detail of the wedding reception and delivered the most wonderful and memorable reception we could have asked for. The food, decor, service and overall professionalism were second to none. Guests are still talking about our reception, commenting that it was one of the best that that they've been to yet! Five star all the way! The Landmark were very welcoming from the first moment we went to meet them. And from there on we couldn't fault their service and understanding of what we wanted for our special day. Really fantastic Venue, food and service is amazing. Most of the staff are very friendly, pleasant and helpful. Had one problem with doorman later in the night, when some guests went outside to smoke they were refused re entry and were left to wait for transport outside(I was unaware of this at the time), this was disappointing after such a fantastic evening. Having said this and because smoking area can be accessed by the public so doorman does need to be extra vigilant after hours( even though he probably should have known they were wedding guests) I would still recommend venue to others. Service, value and venue are top class and the wedding team will do anything to make your day perfect and go as smooth as possible. The food was absolutely amazing and all our guests were impressed. The menu tasting night is a nice touch and we even had our night after in the Boardwalk Cafe upstairs in the bar and they threw in free cocktails and nibbles and also free passes to the niteclub along with 3 bottles of prosecco when we went in. I cannot recommend the Landmark highly enough for a wedding. Everybody was very welcoming in the Landmark hotel,glad I had my wedding there,everyting was always on time and food was brilliant,if you needed anything they would help you! !I would recommend anyone to have wedding here. Couldn't fault then in anyway they were brilliant. Every aspect of The Landmark Hotel for our wedding was fantastic. For dinner service every table has their own team of waitresses which meant everyone ate at the same time which was quite important to us. The food was amazing, I opted for seabass and despite the fact I'm not a big fan of fish it was absolutely gorgeous'(being the bride I wanted to have the lighter option and it was fab). The owner of the hotel even took the time to come down and introduce himself to our parents and ourselves and that was a very nice touch, our parents thought this was lovely of him. I can not fault anything about our wedding day, both myself and my husband agree that if we were to do it again no question we would return to the Landmark. Anything I asked for was no problem and even small little details which we didnt think of were done and organised by the Wedding team. They really have everything sorted for you with tips and advice and help on the lead up to the big day. We also stayed the day after our wedding and had the cocktail bar upstairs to ourselves. It was nice to have the bar to ourselves and we had a great second night. There is only one tiny little thing that I would change and that would be to book all the rooms in the hotel. They are limited and I discovered that the hotel was booked up quickly on the night of our wedding due to a large party booking in. I was a small bit disappointed that we were not offered the rooms first due to us holding our wedding there. Very minor thing but again I love the Landmark, the staff are friendly and very efficient. The hotel is well kept, clean and well designed. And the food, be it breakfast, wedding dinner or bar food is exceptional. I would have no hesitation recommending this fab hotel for your wedding day. Hi guys, Thanks a mil for the lovely feedback, it was our pleasure to look after you on your wedding day. Anytime you are passing by please call in for coffee and send on some photos too. To Patricia & Emma, Thank you both and all the staff of The Landmark Hotel for making our day so special, ourselves and our guests really enjoyed the “Landmark Experience”. We could not have asked for a better venue – we were treated so well by everybody – not only on the day, but everytime we called. You really are experts at your jobs. The Landmark Hotel's Wedding Experience November 2012 - Prepare to be Wowed!